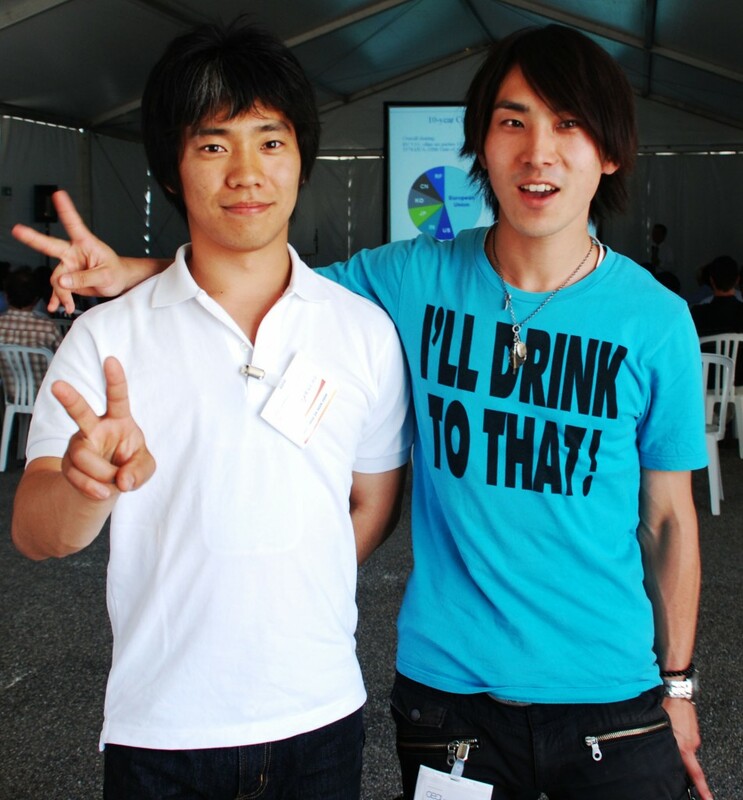 Koichi Miyaya and Kosuke Tsukatani, two students from Osaka Univeristy in Japan obviously enjoyed they visit to the ITER site. Plasma Surface Interaction was the focus of the third ITER Summer School that took place at the Institut d'Etudes Politiques in Aix-en-Provence this week. On Wednesday, the students originating from all over world came to ITER to experience direct interaction with the matter, a presentation given by Chris Llewellyn Smith. Among the fusion newcomers were Koichi Miyaya and Kosuke Tsukatani from Osaka Univeristy in Japan.